"Whole Foods" redirects here. For the type of food, see Whole food. For the food cooperative, see Whole Foods Co-op. Whole Foods Market Inc. is an American supermarket chain which exclusively sells products free from hydrogenated fats and artificial colors, flavors, preservatives, and sweeteners. Being the only USDA Certified Organic grocer in the United States, the chain is popularly known for its organic selections. Whole Foods has 500 stores in North America and the United Kingdom as of March 4, 2019[update]. On August 23, 2017, it was reported that the Federal Trade Commission had approved a merger between Amazon and Whole Foods Market; the deal was closed on August 28, 2017. In 1978, John Mackey and Renee Lawson borrowed $45,000 from family and friends to open a small vegetarian natural foods store called SaferWay in Austin, Texas (the name being a spoof of Safeway). When the two were evicted from their apartment for storing food products in it, they decided to live at the store. Because it was zoned for commercial use, there was no shower stall, so they bathed using a water hose attached to their dishwasher. Two years later, Mackey and Lawson partnered with Craig Weller and Mark Skiles to merge SaferWay with the latter's Clarksville Natural Grocery, resulting in the opening of the original Whole Foods Market, which included meat products. At 10,500 square feet (980 m2) and with a staff of 19, the store was large in comparison to the standard health food store of the time. The following Memorial Day, on May 25, 1981, the most damaging flood in 70 years devastated Austin. Whole Foods' inventory was ruined, and most of the equipment was damaged. The loss was approximately $400,000 and Whole Foods Market had no insurance. Customers, neighbors, and staff assisted to repair and clean up the damage. Creditors, vendors, and investors assisted in helping recovery, and the store reopened 28 days later. Beginning in 1984, Whole Foods Market expanded out of Austin, first to Houston and Dallas and then into New Orleans with the purchase of The Whole Food Co. in 1988. In 1989, the company expanded to the West Coast with a store in Palo Alto, California. 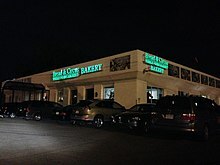 While opening new stores, the company fueled rapid growth by acquiring other natural foods chains throughout the 1990s: Wellspring Grocery of North Carolina, Bread & Circus of Massachusetts and Rhode Island (banner retired in 2003), Mrs. Gooch's Natural Foods Markets of Los Angeles, Bread of Life of Northern California, Fresh Fields Markets on the East Coast and in the Midwest, Florida Bread of Life stores, Detroit-area Merchant of Vino stores, and Nature's Heartland of Boston. The company purchased Allegro Coffee Company in 1997. The company's 100th store was opened in Torrance, California, in 1999. The company started its third decade with additional acquisitions. The first was Natural Abilities in 2000, which did business as Food for Thought in Northern California. After the departure of then company president Chris Hitt and regional president Rich Cundiff, Southern California region, John Mackey promoted A.C. Gallo, president of the Northeast region and Walter Robb, president of the Northern California region to Co-COO and soon after added the titles of Co-President. This led to the promotion of three new regional presidents and a new era for the company. David Lannon became president of the Northeast region, Anthony Gilmore became president of the Southwest region, Ron Megehan became president of the Northern California region. In 2001, Whole Foods also moved into Manhattan. Later that year Ken Meyer became president of the newly formed South region and Whole Foods Market acquired the assets of Harry's Farmers Market, which included three stores in Atlanta. In 2002, the company continued its expansion in North America and opened its first store in Toronto, Ontario. Further continuing its expansion, Select Fish of Seattle was acquired in 2003. 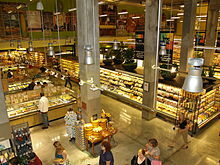 In 2005, Whole Foods opened its 80,000 sq ft (7,400 m2) flagship store in downtown Austin. The company's headquarters moved into offices above the store. Whole Foods opened its first store in Hawaii in 2008 and in 2008 it also opened a southeast distribution center in Braselton, Georgia, calling it the first "green distribution center" for the company. Along with new acquisitions, such as the 2014 purchase of seven Dominick's Finer Foods locations in Chicago, Whole Foods has also sold stores to other companies. For example, 35 Henry's Farmers Market and Sun Harvest Market stores were sold to a subsidiary of Los Angeles grocer Smart & Final Inc. for $166 million in 2007. Whole Foods opened its second store in western New York in Amherst, a suburb of Buffalo in September, 2017. As part of a streamlining campaign, in January 2017 the company reported that it would close three remaining regional kitchens in Everett, Landover and Atlanta. In June 2017, Amazon purchased Whole Foods Market for $13.7 Billion. Amazon plans for Whole Foods customers who also have an Amazon prime account to be able to order groceries online and then pick them up in store for free. In January 2019, as part of expansion further to some unreachable areas, Amazon announced to acquire some former Sears and Kmart locations from Sears Holdings which filed for Chapter 11 Bankruptcy protection on October 15, 2018. These vacant locations would be demolished or remodel into new Whole Foods Market locations. In 2004, Whole Foods Market entered the U.K. by acquiring seven Fresh & Wild stores. In June 2007, it opened its first full-size store, a total of 80,000 sq ft (7,400 m2) on three levels, on the site of the old Barkers department store on Kensington High Street, West London and currently their largest store in the world. Company executives claimed that as many as forty stores might eventually be opened throughout the U.K. However, by September 2008, in the wake of Whole Foods Market's financial troubles, Fresh & Wild had been reduced to four stores, all in London. The flagship Bristol branch closed because it had "not met profitability goals". In the year to September 28, 2008, the UK subsidiary lost £36M due to a large impairment charge of £27M and poor trading results due to the growing fears of global recession. However, in 2011, global sales grew +8% each financial quarter as shoppers returned to the chain. A first Scottish store was opened on November 16, 2011 in Giffnock, Glasgow. Whole Foods Market Inc. currently operates 9 different Whole Foods locations: in Camden Town, Cheltenham, Clapham Junction, Giffnock, Kensington, Piccadilly Circus, Richmond, Stoke Newington, and Fulham. Whole Foods Market closed its Giffnock and Cheltenham stores at the end of November 2017, under a rationalisation plan. Whole Foods entered the Canadian market in 2002 in Toronto. In 2013, Whole Foods said it would open around 40 more stores in Canada over time. At the time, there were 9 Whole Foods in Canada. By January 2017, Whole Foods had 467 stores, all of which were in the United States except 9 in the United Kingdom and 12 in Canada. In January 2017, Whole Foods announced it was cancelling plans from 2015 and 2016 to open stores in Calgary and Edmonton. Among the twelve were five in the Vancouver and Toronto areas, one in Ottawa, and one in Victoria, British Columbia. On February 21, 2007, Whole Foods Market, Inc. and Wild Oats Markets Inc. announced the signing of a merger agreement under which Whole Foods Market, Inc. would acquire Wild Oats Markets Inc.'s outstanding common stock in a cash tender offer of $18.50 per share, or approximately $565 million based on fully diluted shares. Under the agreement, Whole Foods Market, Inc. would also assume Wild Oats Markets Inc.'s existing net debt totaling approximately $106 million as reported on September 30, 2006. On June 27, 2007, the Federal Trade Commission (FTC) issued an administrative complaint challenging Whole Foods Market, Inc.'s acquisition of Wild Oats Markets Inc. According to the complaint, the FTC believed that the proposed transaction would violate federal antitrust laws by eliminating the substantial competition between two close competitors in the operation of premium natural and organic supermarkets nationwide. The FTC contended that if the transaction were to proceed Whole Foods Market would have the ability to raise prices and reduce quality and services. Both Whole Foods Market and Wild Oats stated their intention to vigorously oppose the FTC's complaint and a court hearing on the issue was scheduled for July 31 and August 1, 2007. CEO John Mackey started a blog on the subject to explain his opposition to the FTC's stance. Further blogging by Mackey was revealed when the FTC released papers detailing highly opinionated comments under the pseudonym "Rahodeb" that he made to the Whole Foods Yahoo! investment message board. This became the subject of an investigation when the Securities and Exchange Commission (SEC) noted that Regulation Fair Disclosure law of 2000 may have been violated. The SEC cleared Mackey of the charges on April 25, 2008. On July 29, 2008, the Court of Appeals for the District of Columbia overturned the district court's decision allowing the merger. The Court of Appeals ruled that "premium natural, and organic supermarkets" ("PNOS"), such as Whole Foods and Wild Oats, constitute a distinct submarket of all grocers. The court ruled that "mission driven" consumers (those with an emphasis on social and environmental responsibility) would be adversely affected by the merger because substantial evidence by the FTC showed that Whole Foods intended to raise prices after consummation of the merger. As part of its effort to combat the ruling, Whole Foods subpoenaed financial records, market studies and future strategic plans belonging to New Seasons Market, a regional competitor based in the Portland area. In 2009 Whole Foods agreed to sell the Wild Oats chain. In February 2017, Whole Foods Market said it would close nine of its stores and lowered its financial projections for the year, as the natural-foods company struggled with increased competition and slowing sales growth. In late April 2017, Whole Foods reported their sixth consecutive quarter of declining sales, and announced that the company would be closing nine stores: two each in Colorado and California, and one each in Georgia, Arizona, Utah, New Mexico, and Illinois. The loss of revenue was attributed to foot traffic being down and other supermarkets offering a similar experience for a lower cost. On June 15, 2017, Amazon announced it would acquire Whole Foods Market, adding some 400 physical stores to Amazon's e-commerce assets. The purchase was valued at $13.7 billion, and caused Whole Foods stock prices to soar after the announcement was made. In 2018, Whole Foods Market announced its possible intention to take over some vacant Sears and Kmart stores and refurbish them after Sears Holdings Corporation, which owned both chains, filed for bankruptcy in October. Whole Foods Market only sells products that meet its self-created quality standards for being "natural", which the store defines as: minimally processed foods that are free of hydrogenated fats as well as artificial flavors, colors, sweeteners, preservatives, and many others as listed on their online "Unacceptable Food Ingredients" list. Whole Foods Market has also announced that it does not intend to sell meat or milk from cloned animals or their offspring, even though the U.S. Food and Drug Administration (FDA) has ruled them safe to eat. The company also sells many USDA-certified organic foods and products that aim to be environmentally friendly and ecologically responsible. Stores do not carry foie gras or eggs from hens confined to battery cages due to animal cruelty concerns, as a result of successful advocacy by animal welfare groups. The Whole Foods Market website details the company's criteria for selling food, dietary supplements, and personal care products. Until June 2011, body care products sold at Whole Foods Market could be marketed as organic even if they contained ingredients not listed by the USDA as acceptable for use in organic food. "Products made using petroleum-derived and other synthetic or chemical ingredients, prohibited in organic foods, can be found among the organic shampoos and lotions made by Avalon, Nature's Gate, Jason Natural Cosmetics, Kiss My Face and other brands", said Urvashi Rangan, an environmental health scientist at Consumer Reports. This is because the federal guidelines that regulate organic food labeling do not apply to cosmetics. Starting in June 2011, personal care products sold at Whole Foods Market were required to follow the same USDA National Organic Program standards for organic food. This required products labeled "Organic" to contain 95 percent or more certified organic ingredients. In a Wall Street Journal article in August 2009, John Mackey acknowledged that his company had lost touch with its natural food roots and would attempt to reconnect with the idea that health was affected by the quality of food consumed. He said "We sell a bunch of junk". He stated that the company would focus more on health education in its stores. 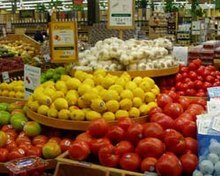 As of 2013, many stores have employed Healthy Eating Specialists which are team members who "answer customers’ healthy eating questions and can assist...in choosing the most nutrient-dense ingredients, suggest satisfying healthy recipes," and help "create a meal plan in keeping with your health goals." In an effort to allow their customers full-transparency in purchasing, Whole Foods Market has developed a number of in-store rating systems for various departments. The Seafood department has a Sustainability Rating System for wild-caught seafood while farm-raised seafood has to meet aquaculture standards both rated in accordance to third-party auditors. The Meat department has a rating system in partnership with the Global Animal Partnership based on animal welfare. The produce department has a rating system based on farming practices which include measures of a farm's environmental, GMO transparency, worker safety and wage practices. The grocery department has an Eco-scale rating system for its cleaning products which measures their environmental impact. Each system is in place to allow customers to make the most educated choices within Whole Foods Market. There are efforts to create more rating systems in other departments. Whole Foods Market has announced plans to provide its customers GMO (genetically modified organism) product labeling by 2018. Efforts of GMO transparency run the gamut of each department. For years, Non-GMO Project Verified items have been sought in Grocery. While efforts continue in Produce, Whole Foods recommends buying organic or referring to their "Responsibly Grown produce rating system [which] requires growers to disclose use of GMO seeds or plant material." In Seafood, plans are being made to launch a Non-GMO Project Verification process for farm-raised fish. Currently, there are no USDA Organic regulations for farmed seafood. Whole Foods Market has opened wine and beer shops to cater to their upmarket brand. Above, the imported beer case at a Whole Foods beer shop. Whole Foods Market purchases products for retail sale from local, regional, and international wholesale suppliers and vendors. The majority of purchasing occurs at the regional and national levels to negotiate volume discounts with major vendors and distributors. Regional and store buyers are focused on local products and any unique products necessary to ensure a neighborhood market feel in the stores. Whole Foods says that the company is committed to buying from local producers that meet its quality standards while also increasingly focusing more of their purchasing on producer- and manufacture-direct programs. Some regions have an employee known as a "forager", whose sole duty is to source local products for each store. Whole Foods is the first grocer in the United States to have certified adherence to National Organic Program standards, which involves monitoring products from the time they reach stores until they are placed in a shopping cart. In April 2007, Whole Foods Market launched the Whole Trade Guarantee, a purchasing initiative emphasizing ethics and social responsibility concerning products imported from the developing world. The criteria include fair prices for crops, environmentally sound practices, better wages and labor conditions for workers and the stipulation that one percent of proceeds from Whole Trade certified products go to the Whole Planet Foundation to support micro-loan programs in developing countries. The company's goal, published in 2007, is to have at least half of its imported products from these countries fully certified by 2017. Whole Foods Market has a policy of donating at least five percent of its annual net profits to charitable causes. Some of this mandate is accomplished through store level donations held on certain "5% days" throughout the year. The rest of it comes from various targeted projects by the company. In May 1999, Whole Foods Market joined the Marine Stewardship Council (MSC), a global independent, not-for-profit organization promoting sustainable fisheries and responsible fishing practices worldwide to help preserve fish stocks for future generations. The company first began selling MSC-certified seafood in 2000, and a growing selection of MSC-certified fish continues to be available. Whole Foods placed third on the U.S. Environmental Protection Agency's list of the "Top 25 Green Power Partners". The company also received the EPA Green Power Award in 2004 and 2005 and Partner of the Year award in 2006 and 2007. A January 8, 2007, Environmental Protection Agency (EPA) report listed Whole Foods Market as the second-highest purchaser of green power nationwide, citing its actions as helping drive the development of new renewable energy sources for the electricity generation. The EPA report showed Whole Foods Market using 463.1 million kilowatt hours annually. It was covered, 100 percent net-wise, by its total electricity from biomass, geothermal, small-hydro, solar, and wind sources. Whole Foods signed an agreement with SolarCity to install solar panels on up to 100 stores. In January 2008, Whole Foods Market was the first U.S. supermarket to commit to completely eliminating disposable plastic grocery bags to help protect the environment and conserve resources and many stores serve as a collection point for shoppers to recycle their plastic bags. On Earth Day, April 22, 2008, Whole Foods Market eliminated the use of disposable plastic grocery bags company-wide in favor of reusable bags or paper bags made from recycled paper. 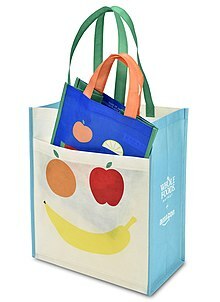 The company also began offering "Better Bags", a large and colorful grocery bag made primarily from recycled bottles. The move from the traditional paper/plastic system to environmentally friendly and reusable bags has been packaged as an initiative the company calls "BYOB – Bring Your Own Bag". The campaign is aimed at reducing pollution by eliminating plastic bags and reducing waste by encouraging bag reuse with "bag refunds" of 5–10 cents, depending on the store. In 2002, People for the Ethical Treatment of Animals began petitioning Whole Foods to take steps to ensure the improvement of treatment of animals sold in the stores. Whole Foods created the Animal Compassion Foundation in January 2005, a separate nonprofit organization, to help other producers evolve their practices to raise animals naturally and humanely. According to Whole Foods Natural Meat Quality Standards and Animal Compassionate Standards, pulling feathers from live ducks, bill trimming, bill heat treatment, toe punching, slitting the webs of the feet, and toe removal are all prohibited in the raising of ducks for Whole Foods Market. Any ducks treated in this manner, treated with antibiotics or antimicrobials, cloned, genetically modified, or not allowed medical treatment when necessary are to be removed from Whole Foods Market stock. In February 2006, shareholders of Whole Foods filed a resolution asking Whole Foods to report toxic chemicals found in its products. Substances such as Bisphenol A (BPA), found in products such as baby bottles and children's cups, are controversial. Whole Foods no longer sells baby bottles and children's cups made with BPA. In the wake of concern over the safety of seafood imports from China, on July 10, 2007, The Washington Post reported that Whole Foods imports a small amount of frozen shrimp from China, accounting for less than 2% of the company's total seafood sales. A Whole Foods spokesperson addressed the issue, saying "We're not concerned about the less than 2 percent. It's business as usual for us." 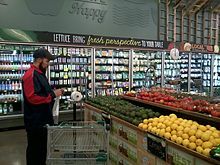 Whole Foods Market is considered anti-labor by most worker organizations and has been criticized that its products may not be as progressive as they are touted to be. Author Michael Pollan has contended that the supermarket chain has done well in expanding the organic market, but has done so at the cost of local foods, regional producers, and distributors. Parts of the debate have taken place publicly through a series of letters between Pollan and Whole Foods Market CEO John Mackey. Whole Foods announced in June 2006 that it would stop selling live lobsters and crabs, but in February 2007 made an exception for a Portland, Maine store for its ability to meet "humane standards". The lobsters are kept in private compartments instead of being piled on top of one another in a tank, and employees use a device that gives them a 110-volt shock so that they are not boiled alive in a pot of water. This decision was criticized by ex-lobsterman Trevor Corson as damaging a New England tradition and as removing people's connection to where their food actually comes from. Ronnie Cummins, national director of the United States Organic Consumers Association, opined that "Whole Foods Market now is a big-box retailer – and it's much more concerned about competing with the other big boxes than issues of ethics and sustainability." Similarly, researcher Stacy Mitchell of the New Rules Project argues that the corporation's aggressive marketing of local food is more hype than substance. Whole Foods has frequently been the subject of resistance or boycotts in response to proposed store locations. The corporation has also been criticized for its aggressive policy of promoting its own in-house brands (e.g. 365) at the expense of smaller or local independent brands. On August 11, 2009, Whole Foods CEO John Mackey published an editorial in The Wall Street Journal criticizing the Patient Protection and Affordable Care Act; the editorial was controversial in the natural foods community. The company has created other controversies at various times involving business practices, labor issues, product selection, and failure to support farmers and suppliers. In March 2013, Whole Foods promised to label GMO-containing products in North American stores by 2018. The company has drawn criticism for questionable science behind the claims of benefit of its products, including encouraging and selling drugs that are described to work under homeopathic principles despite the fact that homeopathy is pseudoscience. In 2013, two workers in Albuquerque, New Mexico were suspended for speaking Spanish. The resulting investigation revealed that Whole Foods has a policy of speaking "English to customers and other Team Members while on the clock". The company soon revised its policy. The company later agreed to pay an $800,000 settlement in response to allegations that its California stores were charging more per weight than what its labels indicated. Whole Foods continued this practice despite the settlement, with investigators alleging thousands of continued violations well into 2015. In 2015, the CEOs made a public admission of this happening in New York after a New York City Department of Consumer Affairs investigation. Whole Foods has faced lawsuits in California over the presence of carcinogens. In March 2008, following a study by the Organic Consumers Association, reports of high levels of 1,4-Dioxane found in body care products at Whole Foods, prompted the Attorney General of California to file a lawsuit against the company for a violation of Proposition 65. Civil penalties of up to $2,500 a day were expected to be awarded. The action claimed that 365 along with brands sold by other cosmetic companies did not include a label warning about the chemical. Spokesperson Libba Letton stated that the company did "not believe that these products represent a health risk or are in excess of California's Proposition 65 Safe Harbor level for 1,4-Dioxane" while consumer activist David Steinman urged them "to stop treating the inclusion of cancer-causing chemicals in their products as 'business as usual'". Proposition 65 was invoked again in 2013 when the state sued Whole Foods and other retailers over the presence of lead in certain candies. In May 2014, Whole Foods launched a pilot program to sell rabbit meat in 5 of its 12 market regions. Because domestic rabbits are the eighth most common pet in the United States  as well as an animal rescued and sheltered alongside cats and dogs, this decision triggered a nationwide boycott of Whole Foods by the vegetarian activist House Rabbit Society and their supporters. In June 2014 Whole Foods awarded a financial grant to Oz Family Farms, a family-owned rabbit meat business. In January 2015, a group of activists organized under the network Direct Action Everywhere (DxE) released a video of laying hens from a Northern California farm that supplies eggs to Whole Foods. In the video, which featured footage of crowded, dirty henhouses and injured birds, DxE contended that the hens' welfare was severely compromised, even though numerous boards had labeled the farm as "Certified Humane". In 2015, animal rights groups People for the Ethical Treatment of Animals and Direct Action Everywhere released investigations criticizing Whole Foods animal welfare standards and accusing Whole Foods suppliers of animal cruelty. After the release of its investigation, PETA reversed its previous support for Whole Foods' animal welfare rating system, writing that "Under the guise of compassion, Whole Foods is profiting from violence against animals." PETA co-founder Ingrid Newkirk criticized Whole Foods' animal welfare approach based on the DxE and PETA investigations, arguing that supposed welfare failures indicate a need for animal rights rather than welfare. Whole Foods has come under harsh criticism from abolitionist vegans such as Gary L. Francione who view the company's policies as a betrayal of the animal rights position. In June 2016, US food safety inspectors warned the company that violations discovered at Whole Foods' Everett, Massachusetts plant could result in food being "contaminated with filth or rendered injurious to health." In April 2018, Whole Foods Market faced social media backlash over the opening of the third location of the California-based restaurant chain, "Yellow Fever", in a Whole Foods 365 store in Long Beach, California for possible racist undertones. The restaurant chain, co-founded by Korean-American chef Kelly Kim, is an independent company that partnered with Whole Foods to open in its store. Much of the discussion was aimed at Whole Foods and the perception that it was catering to an affluently white demographic as well as the restaurant's name having a problematic history of being both associated with a white man's sexual fascination with Asian women and the name of a viral disease. In January 2016, SJ Collins Enterprises, a developer who often works with Whole Foods, petitioned the Sarasota County board of county commissioners to allow the removal of a 5-acre protected wetlands so that they could build a surface parking lot for a planned Whole Foods shopping center and Wawa gas station at the intersection of University Parkway and Honore Avenue. The county commission voted 4–1 to allow the re-zoning and accept 41 acres of replacement wetlands. The lone commissioner voting against the proposal, Charles Hines, stated that approval of the petition could create a domino effect leading to the destruction of other protected areas. Whole Foods Market has been included in Fortune magazine's annual list of the "100 Best Companies to Work For" every year since the list's inception in 1998, most recently at number 44 in 2014. The chain has also won a number of awards for social responsibility including a first-place ranking by Harris Interactive / The Wall Street Journal in 2006 and past spots on the "100 Best Corporate Citizens" list published by Corporate Responsibility Officer. In 2014, Supermarket News ranked Whole Foods number 19 on its list of "Top 75 North American Retailers" and British trade magazine The Grocer named it the "World's Greatest Food Retailer" in 2006. Among its core values, the company lists "supporting team member happiness and excellence". The company maintains that its treatment of workers obviates the need for labor unions: At its U.S. stores, after 800 service hours, full-time workers are given an option to purchase health insurance coverage starting at $20 per paycheck for themselves, and spouse and dependent coverage for an additional charge. Workers also have access to a company-funded personal wellness account, and the starting pay at most stores is highly competitive. A careful reading of both the Declaration of Independence and the Constitution will not reveal any intrinsic right to health care, food or shelter. That's because there isn't any. This "right" has never existed in America. A "Boycott Whole Foods" page on Facebook was created in response to John Mackey's position on health care. Mackey, a libertarian, believes that unions facilitate an adversarial relationship between management and labor. An attempt at unionizing in Madison, Wisconsin, in 2002 was met with resistance from store management and Whole Foods was accused by labor activists of union busting. Employees at the Madison store voted in favor of unionization. Whole Foods then refused to bargain with their employees. After a year, the company moved to decertify the union. Further attempts at unionizing Whole Foods Market stores have been unsuccessful. Whole Foods launched a nationwide campaign, requiring workers to attend "Union Awareness Training," complete with Power Point presentations. Whole Foods was criticized for its refusal to support a campaign by the United Farm Workers (UFW) on behalf of agricultural workers laboring on strawberry farms. During the late 1990s, the UFW persuaded several large supermarket chains to sign a pledge in support of improved wages and working conditions for strawberry pickers. Whole Foods chose instead to support the farm workers indirectly by holding a "National 5% Day" where five percent of that day's sales – $125,000 – was donated to organizations which provide social services to farmworkers. On September 28, 2015, Whole Foods announced layoffs of 1,500 jobs, which is 1.6 percent of its workforce, in an effort to lower prices. The eliminated jobs would come from regional and store positions over the next two months. Whole Foods hired the Labor Relations Consulting or "union busting" company Kulture Consulting, LLC on May 23, 2016. This was in response to a union election at a Whole Foods distribution center in Florida. Kulture has been described as "a radical, Ayn Rand-promoting anti-union organization." A member of the National Labor Relations Board (NLRB) wrote that Kulture's CEO and founder Peter List had "in his effort to 'persuade' workers...engaged in 'patently unlawful' activities" during a 2007 organizing campaign. Whole Foods Market consists of twelve geographic regions, each with its own president, regional administrative team, store-level leadership, and store-level team members. A 4-tier hierarchy of employment exists within the Whole Foods Company: Store Employment, Facilities Employment, Regional Offices, and Global Headquarters. To help employees learn about products, the company has instituted a mentoring program and developed an online portal called "Whole Foods Market University" to aid in training. Internal parlance refers to "team leaders” as opposed to “managers” and stores sometimes offer prizes for competing teams. A 2014 analysis of 2012 figures found that Whole Foods Market was "among the least generous companies" in terms of its 401(k) savings program. Whole Foods Market has an employee discount; while all employees are provided a standard base discount rate of 20% on all store purchases, higher rates, up to 30%, can be earned based upon employee physical fitness health tests that are given yearly. These fitness exams are taken at the option of the employee. In total, Whole Foods Market is composed of seventeen companies, each specializing in a different product. In the 1990s, while new stores were being opened, other natural food chain stores were being acquired for horizontal integration. This led to the Federal Trade Commission challenging the eventual merger with Wild Oats on the basis that it violated antitrust laws, essentially eliminating competition and inflating prices in the health foods market. Whole Foods Market is based on a system of decentralized buying. Each vendor is approved at the regional level for corporate standards such as being non-GMO and fair trade. Individual stores then decide which approved products to stock. They have a rolling ten-year distribution arrangement with UNFI. In June 2015, the company announced a millennial-focused, and more affordable version of its regular stores, called "365 By Whole Foods Market". In addition to using digital price tags, in-store communication will largely be done through a smartphone app. In addition, the stores will have the goal of zero waste, donating all leftover food and using LED lights, as well as carbon dioxide-powered refrigeration cases. Jeff Turnas is president of the division. To cut costs, customers unload bulkier products directly off a pallet. Some items, like produce, are priced per item instead of by weight. For items that are sold by weight, the customers weigh, barcode, and tag those items before they reach the check-out counter. Unlike the regular stores, the 365 stores offer a rewards program. The first 365 By Whole Foods Market store opened in May 2016 in the Silver Lake neighborhood of Los Angeles. A second location opened two months later in Lake Oswego, Oregon, followed by a third store two months after that in Bellevue, Washington. In April 2017, a fourth location opened in Cedar Park, Texas. In August 2017, a fifth location was opened in Santa Monica, California. In September 2017, a sixth location was opened in Akron, Ohio. In January 2018, a seventh location was opened in Fort Greene neighborhood of Brooklyn, New York. The eighth location for the chain was opened in April 2018 in Long Beach, California, followed by the opening of the ninth location a month later in Upland, California. A tenth store was opened in the Independence Heights district of Houston, Texas, in August 2018. In December 2018, the eleventh and twelfth stores were opened at almost the same time in the Buckhead district of Atlanta and in Decatur, Georgia. There was other future locations that would been include for 365 stores in Illinois, Indiana, Ohio, Georgia, and Florida. Although there were as many as twenty two 365 stores under various stages of construction by early July 2017, progress at most of these construction sites came to a halt upon the news of the possible acquisition of the parent company by Amazon and there was no information at the time if and when the construction at any of the building sites would resume. As a result of the firm's merger with Amazon, Whole Foods canceled the continuation of work at the construction sites for at least two 365 stores. In January 2018, the Fresh Thyme Farmers Market chain announced that they were taking over the abandoned 365 store construction site at College Mall in Bloomington, Indiana to open a second Bloomington-area store. In the same month, the City of Los Alamitos, California, announced the abandonment of a shopping development that would have been anchored by a 365 store. In reviewing the new retail format, a reporter for The Motley Fool wrote that the new stores were "closer to a combination of a fruit stand, convenience store, and a restaurant than a traditional grocery store" while a MarketWatch reporter called them "hipster havens" due to their use of high tech as a cost cutting and efficiency measure. Most reviews were very positive, although some customers said that they missed talking to actual people when placing food orders via tablets. In January 2019, it was announced that the 365 by Whole Foods Market concept would be discontinued, but the existing locations would remain open for the moment. ^ Thomas, Lauren (28 August 2017). "Amazon officially owns Whole Foods; here are the products that are getting marked down". Cnbc.com. Retrieved 17 September 2017. ^ a b "Whole Foods Company Info". WholeFoods.com. Retrieved 22 January 2018. ^ "Whole Foods cutting 1,500 jobs". Usatoday.com. Retrieved 17 September 2017. ^ Bhattarai, Abha (August 23, 2017). "FTC clears Amazon.com purchase of Whole Foods". The Washington Post. Retrieved August 24, 2017. ^ "Amazon and Whole Foods Market Announce Acquisition to Close This Monday, Will Work Together to Make High-Quality, Natural and Organic Food Affordable for Everyone". Amazon.com. BUSINESS WIRE. Archived from the original on 2 December 2017. Retrieved 24 August 2017. ^ Smith, Evan (March 2005). "John Mackey". Texas Monthly. Archived from the original on 2005-03-08. Retrieved 2011-10-27. ^ Moore, John (2005-03-21). "Run, Gun, and Have Fun – Whole Foods Market Style". Brand Autopsy (blog). Retrieved 2011-10-27. ^ a b Ryssdal, Kai (2007-02-26). "John Mackey on Whole Foods' Growth". Marketplace. ^ a b "Whole Foods Market History". Whole Foods Market. Retrieved 14 February 2015. ^ "Whole Foods Market to Open New York's Largest and Most Eco-Friendly Supermarket at Bowery and Houston on March 29th" (Press release). Whole Foods Market, Inc. 2007-03-27. Archived from the original on 2008-05-30. Retrieved 2008-08-25. ^ Dunn, James (August 8, 2016). "Pamela's Products bakes in gluten-free success". North Bay Business Journal. Retrieved August 9, 2016. ^ a b "Company Timeline". Whole Foods Market. Archived from the original on 2008-07-13. Retrieved 2007-02-26. ^ Labinski, Steve. "Whole Foods Market Feature Article". www.texascooking.com. Retrieved 2017-10-06. ^ "Whole Foods To Buy Natural Food Supermarket Chain". The New York Times. 2000-01-18. Retrieved 2008-08-15. ^ Fabricant, Florence (2001-02-14). "New Market Concentrates On Organic Food". The New York Times. Retrieved 2008-08-15. ^ "Whole Foods To Buy Assets Of Harry's Farmers Market". The New York Times. 2001-08-10. Retrieved 2008-08-15. ^ "Whole Foods Market to open in Toronto". Austin Business Journal. 2002-04-15. Retrieved 2008-08-15. ^ "Sustainable seafood distributor bought by Whole Foods Market". Puget Sound Business Journal. 2003-11-10. Retrieved 2008-08-15. ^ "New Whole Foods Market headquarters set for grand opening". Austin Business Journal. 2005-02-22. Retrieved 2008-08-15. ^ "Whole Foods to open Sept. 10". Retrieved 2018-04-04. ^ Testement, Kerri (2008-04-16). "Whole Foods opens Braselton center". Braselton News. Retrieved 2013-12-16. ^ Shrivastava, Aditi (2014-02-03). "Whole Foods buys seven Dominick's leases in Chicago from Safeway". Reuters. Retrieved 2014-02-27. ^ Davies, Jennifer (2007-10-03). "Henry's bought by Smart & Final". San Diego Union Tribune. ^ "A peek at area's first Whole Foods as it prepares to open". Whole Foods Market (Press release). 13 September 2017. Retrieved 4 April 2018. ^ a b "Whole Foods to shut three regional kitchens". Reuters. 26 January 2017. Retrieved 26 January 2017. ^ Olson, Parmy. "Amazon Just Unveiled Its Grand Plan For Whole Foods: To Make The 'Last Mile' The First Mile". Forbes. Retrieved 2018-05-22. ^ PYMNTS (2019-01-10). "Amazon Considers Sears For Whole Foods Expansion". PYMNTS.com. Retrieved 2019-01-12. ^ Bernot, Kate. "Ghosts of former Sears buildings could become shiny new Whole Foods". The Takeout. Retrieved 2019-01-12. ^ Renton, Alex (2007-03-27). "Ripe target". The Guardian. London. ^ Bowers, Simon (2009-08-03). "Green store Whole Foods 36 million pounds in the red". The Guardian. Retrieved 2015-08-27. ^ Simpson, Aislinn (2008-09-05). "Fresh and Wild closes store as consumers reject organic for cheaper deals". The Daily Telegraph. London. Retrieved 2009-03-06. ^ Thompson, James (2009-08-04). "Whole Foods makes £36m loss in Britain". The Independent. London. ^ "Earnings Preview: Whole Foods". Yahoo! Finance. 2012-02-07. ^ "Whole new venture as food giant opens shop in Fulham". Evening Standard (London). 3 June 2011. Retrieved 28 September 2015. ^ "Whole Foods CEO Confirms Aggressive Canadian Expansion". Retail Insider. November 24, 2014. Retrieved July 29, 2017. ^ Van Praet, Nicolas (May 22, 2013). "Whole Foods co-CEO says grocer wants to open 40 more stores in Canada". Financial Post. Retrieved July 29, 2017. ^ a b Healing, Dan (January 9, 2017). "Whole Foods' Canadian expansion plans slow". The Star. Retrieved July 29, 2017. ^ "Whole Foods to acquire Wild Oats". Austin Business Journal. 2007-02-22. ^ Kaplan, Peter (2007-07-12). "John Mackey panned Wild Oats on Web". Reuters. ^ "Form 8-K for Whole Foods Market, Inc". U.S. Securities and Exchange Commission. 2008-04-25. Retrieved 2008-08-14. ^ "Whole Foods Market, Inc., and Wild Oats Markets, Inc". Federal Trade Commission. 2009-01-29. Retrieved 2013-12-16. ^ Clarke, Kelly (2008-12-01). "UPDATED-Screw Market Share: Whole Foods subpoenas New Seasons' financial and marketing records". Willamette Week. Retrieved 2012-04-14. ^ "Full subpoena text" (PDF). New Seasons Market. 2008-10-13. Retrieved 2013-08-03. ^ Reynolds, George W. (2010). Ethics in Information Technology (Third ed.). Course Technology. p. 189. ISBN 978-0-538-74622-9. OCLC 504510313. ^ Helmore, Edward (2017-04-29). "Hard times for Whole Foods: 'People say it's for pretentious people. I can see why'". The Guardian. Retrieved 2017-05-01. ^ "Amazon to acquire Whole Foods". Bloomberg. 2017-06-16. ^ "Amazon swoop on Whole Foods rattles supermarket shares". Financial Times. United Kingdom. June 16, 2017. Retrieved June 18, 2017. ^ Nicolau, Anna (June 17, 2017). "Walmart and Amazon in acquisition shopping spree in retail battle". Financial Times. United Kingdom. Retrieved June 18, 2017. ^ Whitten, Sarah (2017-06-16). "Amazon is buying Whole Foods in a deal valued at $13.7 billion". CNBC. Retrieved 2017-09-11. ^ a b "Food Ingredient Quality Standards". Whole Foods Market. Retrieved 2015-08-31. ^ Rockwell, Lilly (2007-02-14). "Whole Foods won't sell meat from clones". Austin American-Statesman. Archived from the original on 2007-02-16. Retrieved 2015-08-27. ^ a b "Cloned Meat Q&A". Whole Foods Market. Retrieved 2015-02-14. ^ a b "Organic Body Care Policy". Whole Foods Market. Retrieved 2012-11-20. ^ Leland, John (2003-05-18). "Is Organic Shampoo Chemistry or Botany?". The New York Times. ^ McLaughlin, Katy & Martin, Timothy W. (2009-08-05). "As Sales Slip, Whole Foods Tries Health Push". The Wall Street Journal. ^ Bouchon, Jolène M. (2013-12-31). "Essential Advice from Our Healthy Eating Specialists". Whole Foods Market. ^ "Wild-caught seafood sustainability ratings". Whole Foods Market. Retrieved 2015-08-27. ^ "Aquaculture". Whole Foods Market. Retrieved 2015-08-27. ^ "Animal Welfare Standards". Whole Foods Market. Retrieved 2015-08-27. ^ "Produce Rating System". Whole Foods Market. Retrieved 2015-08-27. ^ "Eco-scale". Whole Foods Market. Retrieved 2015-08-27. ^ "Health Starts Here Rating System". Whole Foods Market. Retrieved 2015-08-27. ^ "Our Commitment to GMO Transparency". Whole Foods Market. ^ "USDA to propose standards for organic seafood raised in U.S."
^ "2006 Annual Report". Whole Foods Market. 2006. Archived from the original on 2007-09-27. Retrieved 2007-03-28. ^ Langlois, Cherie (2009-02-18). "Food & Kitchen – Foraging for a Change". Hobby Farms. Retrieved 2008-10-14. ^ "Your Certified Organic Grocery Store". Whole Foods Market. ^ Lomax, Alyce (2007-04-02). "Fair's Fair at Whole Foods". The Motley Fool. ^ "Whole Foods to Certify Sustainable Products". California Green Solutions. 2007-03-20. ^ Spence Jr., Roy M. (2009). It's not what you sell, it's what you stand for. Penguin. ISBN 978-1-4406-9790-6. ^ "Whole Foods Market Continues Commitment to Seafood Sustainability by Offering Marine Stewardship Council-certified Halibut". Marine Stewardship Council. 2006-05-04. Archived from the original on 2007-12-09. Retrieved 2015-08-27. ^ "Whole Foods Market Introduces Certified Sustainable Seafood" (Press release). Whole Foods Market. 2000-03-08. Archived from the original on 2007-08-18. Retrieved 2015-08-27. ^ "Partner Profile". United States Environmental Protection Agency. 2010-11-17. Archived from the original on 2009-02-02. Retrieved 2013-08-03. ^ "EPA Top 25 Partners in the Green Power Partnership". US Environmental Protection Agency. 2007-01-08. Archived from the original on 2013-11-17. ^ "Whole Foods Plan To Solarize 100 Stores With Solar Electricity Boosts NRG & SolarCity Share Prices". CleanTechnica. Retrieved 2017-05-23. ^ Meltzer, Erica (2013-06-30). "Boulder's bag fee goes into effect today". Daily Camera. Retrieved 2015-08-27. ^ "Whole Foods Market to Sack Disposable Plastic Grocery Bags by Earth Day / Whole Foods" (Press release). Whole Foods Market. 2008-01-22. Archived from the original on 2008-06-03. Retrieved 2013-08-03. ^ "Bring Your Own Bag". Whole Foods Market. Archived from the original on 2008-08-28. Retrieved 2015-08-27. ^ "Environmental Issues". KnowMore.org. Archived from the original on 2006-11-01. ^ Baue, Bill (2006-02-09). "Shareowner Action on Product Toxicity Shifts from Isolated Resolutions to Become a Campaign". Socially Responsible Investing. ^ "Issues & Actions: Food Safety: Bisphenol-A". Whole Foods Market. Archived from the original on 2008-10-10. Retrieved 2015-08-27. ^ Merle, Renae & Yang, Xiyun (2007-07-10). "A Hole in the Food Safety Net?". The Washington Post. ^ Shapin, Steven (2006-05-15). "Paradise Sold". The New Yorker. Archived from the original on 2006-06-13. ^ Mackey, John (2015-04-10). "John Mackey's Blog". Whole Foods Market. Retrieved 14 February 2015. ^ "Whole Foods will sell lobsters in Maine". USA Today. Associated Press. 2007-02-07. Retrieved 2015-08-27. ^ Corson, Trevor (July 2006). "Boiling Point". Boston Magazine. Archived from the original on 2008-12-03. Retrieved 2007-02-12. ^ a b Mitchell, Stacy (2007-09-05). "Whole Foods Markup". The Bollard. ^ "Whole Foods' controversy at Jamaica Plain". Organic Guide. 2011-01-21. Archived from the original on 2011-10-06. Retrieved 2014-02-26. ^ Shore, Derek (2014-02-25). "Possible Midtown Whole Foods Stirring Controversy Among Businesses". CBS. Retrieved 2014-02-26. ^ Ham, David (2013-07-17). "Mayor opposes controversial West Seattle Whole Foods project proposal". KIRO-TV. Retrieved 2014-02-26. ^ Moore, Galen (2013-11-11). "Whole Foods signs a lease in Beverly with controversy and hurdles ahead". Boston Business Journal. Retrieved 2014-02-26. ^ Horn, Heather (2009-08-17). "The Whole Foods Controversy in 15 Minutes". The Atlantic. ^ Bluejay, Michael. "What's wrong with Whole Foods?". Michael Bluejay (blog). ^ Polis, Carey (2013-08-03). "Whole Foods GMO labelling to be mandatory by 2018". The Huffington Post. Retrieved 2015-08-28. ^ Schulson, Michael (2014-02-23). "Whole Foods: America's Temple of Pseudoscience". The Daily Beast. Retrieved 2014-02-26. ^ Maloney, Field (2006-03-17). "Is Whole Foods Wholesome?". Slate. Retrieved 2014-02-06. ^ "Homeopathy for Baby". Whole Foods Market. Retrieved 2014-07-17. ^ Contreras, Russell (2013-06-07). "Whole Foods, 2 NM workers clash over suspension". Yahoo! News. Associated Press. Retrieved 2014-02-26. ^ Varela, Julio Ricardo (2013-06-06). "Opinion: Whole Foods' English-only policy is clueless and wrong". NBC Latino. NBC. Retrieved 2014-02-26. ^ Contreras, Russell (2013-06-14). "Whole Foods Revises Employee Language Policy". Huffington Post. The Huffington Post. Retrieved 2014-02-26. ^ Cormier, Jordyn (2014-06-24). "Whole Foods Caught Overcharging in CA". Care2. ^ Fitzgerald, Jim (2015-06-25). "Whole Foods accused of overcharging customers for prepackaged foods". The Globe and Mail. Retrieved 2015-06-25. ^ Theis, Michael (2015-07-02). "Whole Foods CEOs admit to overcharging, say it was unintentional". Austin Business Journal. Retrieved July 3, 2015. ^ a b "California Suit Against Whole Foods for Carcinogen in Body Care Products, with Corporate Puff Response from CEO John Mackey and the Truth from Nutritionist Cheryl Rounds". TransWorldNews, Inc. 2008-06-13. Retrieved 2010-04-01. ^ "Whole Foods, others named in suit filed by California AG over carcinogens". Austin Business Journal. 2008-06-11. Retrieved 2010-04-01. ^ Dearen, Jason (2013-01-05). "Whole Foods, Trader Joe's sued by California for lead in candies". The Huffington Post. Retrieved 2015-08-27. ^ "Whole Foods Market Rabbit Standards Development Process". Whole Foods Market. ^ "U.S. Pet Ownership Statistics". American Veterinary Medical Association. 2014. ^ "Tell Whole Foods to Stop Killing Bunnies!". House Rabbit Society. 2014-07-16. ^ Serval, Deborah Mitchel (2014-06-20). "OZ Family Farm wins grant from Whole Foods". The Press Democrat. Archived from the original on 2014-06-19. ^ Truth Matters: DxE Investigators Expose "Humane" Fraud at Whole Foods. Direct Action Everywhere. 2015-01-07. Retrieved 2015-01-25 – via YouTube. ^ Moyer, Justin Wm. (2015-09-21). "Another Whole Foods mess: Abuse alleged at pig farm linked to chain". Washington Post. ^ Gee, Kelsey (2015-11-23). "Video Shows Abuse at Whole Foods Turkey Supplier, Activists Say". Wall Street Journal. Retrieved 2015-09-20. ^ "Letter to Whole Foods". Direct Action Everywhere. 2016-01-28. Retrieved 2015-09-20. ^ Strom, Stephanie & Tavernise, Sabrina (2015-01-08). "Animal Rights Group's Video of Hens Raises Questions, but Not Just for Farms". New York Times. Retrieved 2015-01-12. ^ Newkirk, Ingrid (2016-01-29). "Dear Whole Foods: Animals need basic rights, not welfare crumbs". The Dodo. Retrieved 2016-09-20. ^ Francione, Gary (2008-09-21). "These animals are our dear friends". Animal Rights: The Abolitionist Approach. Retrieved 2009-03-16. ^ Madani, Doha (29 April 2018). "Whole Foods Sparks Controversy By Partnering With 'Yellow Fever' Restaurant". Huffington Post. The Huffington Post. ^ Le Coz, Emily (2016-04-15). "Whole Foods speaks out on proposed development7". Sarasota Herald Tribune. ^ Short, Jack (2015-12-16). "Whole Foods project may get bogged down". Sarasota Observer (East County ed.). ^ Hackney, Rachel Brown (2016-01-28). "Whole foods planning on new store opening in the summer of 2017". Sarasota News Leader. ^ Lyons, Tom (2016-01-27). "Lyons: Wetland to become Whole Foods parking lot". Sarasota Herald Tribune. Sarasota, Florida. ^ "There is a lot of growth; we can't stop it anymore". Sarasota Vision 2050 (blog). Sarasota, Florida: Citizens for Sarasota County. 2016-01-27. ^ "100 Best Companies To Work For 2007". Fortune. 2007-01-22. ^ "100 Best Companies to Work For". Fortune. 2014. Retrieved 2015-08-27. ^ Upham, BC (2010-03-25). "CR Magazine's 100 Best Corporate Citizens "Way Off Base"". TriplePundit. Retrieved 2015-08-27. ^ Griffin, Justine (2015-02-13). "Update: Whole Foods opening second store in Sarasota". Sarasota Herald-Tribune. Retrieved 2015-08-27. ^ "Booths Voted One Of World's Greatest Food Retailers". Booths Supermarkets (Press release). 2006-12-01. Archived from the original on 2006-12-08. Retrieved 2015-08-27. ^ "Core Values". Whole Foods Market. Archived from the original on 2008-03-06. Retrieved 2015-08-28. ^ "Whole Foods Market Benefits". Whole Foods Market. Archived from the original on 2012-07-16. Retrieved 2015-08-28. ^ Maloney, Field (2006-03-17). "Is Whole Foods Wholesome? The dark secrets of the organic-food movement". Slate. ^ Mokhiber, Russell (2009-09-25). "Boycott Whole Foods". Common Dreams. ^ Burnett, John (2009-08-19). "Health Care Uproar Swallows Whole Foods". NPR. ^ "John Mackey's Wal-Mart for the granola crowd". The Economist. 2005-07-28. Archived from the original on 2007-11-12. Retrieved 2015-08-28. ^ "Whole Foods is anti-union". ^ Oritz, Paul (May 1998). "Whole Foods Plays Dirty". The Prism – via ibiblio. ^ Bates, Eric (1998-09-03). "Whole Foods Fight". Metro Santa Cruz. ^ Gasparro, Annie (2015-09-28). "Whole Foods to Cut 1,500 Jobs". Wall Street Journal. Retrieved 2015-09-29. ^ Hunt, Matthew (2018-06-08). "Whole Foods Hired Far-Right Wing Activist as Union Buster". Medium. Retrieved 2018-06-09. ^ "Florida City Paying $2,500 A Day To Radical Union-Busting Firm To Stop Workers From Organizing". Retrieved 2018-06-09. ^ "A Primer on the Antiunion Campaign at Volkswagen". Truthout. Retrieved 2018-06-09. ^ Chevalier, Alysia (2012-03-06). "Talent Development Whole Foods". SlideShare. Retrieved 2015-08-27. ^ Collins, Margaret & Hymowitz, Carol (2014-07-24). "Who's got the best retirement plan?". Bloomberg News. Retrieved 2015-08-27. ^ Tkaczyk, Christopher (2011-05-18). "5 reasons why it's great to work at Whole Foods". Fortune. ^ "FTC Consent Order Settles Charges that Whole Foods' Acquisition of Rival Wild Oats was Anticompetitive" (Press release). Federal Trade Commission. 2009-03-06. Retrieved 2012-10-18. ^ "Information For Potential Suppliers". Whole Foods Market. ^ Richards, Brian (2013-02-19). "How Whole Foods Transformed Its Relationship With United Natural Foods". The Motley Fool. ^ a b Redman, Russell (2018-12-12). "Whole Foods 365 makes Atlanta debut: Pair of new stores expands concept to a dozen locations". Supermarket News. ^ Khouri, Andrew (2015-06-11). "Whole Foods names its 'hip' lower-cost stores 365". Los Angeles Times. Retrieved 2016-05-20. ^ Yu, Roger (2015-06-11). "Whole Foods to name new 'streamlined' chain 365". USA Today. Retrieved 2016-05-20. ^ Gasparro, Annie (2015-06-11). "Whole Foods to Use '365' Name for New Sister Chain". Wall Street Journal. ISSN 0099-9660. Retrieved 2016-05-20. ^ Peters, Adele (2016-04-11). "Whole Foods Is Launching A Budget Store That Will Aim To Be Sustainable And Zero Waste". Co.Exist. Retrieved 2016-05-20. ^ Kessler, Sarah (2016-05-16). "The Whole Foods Playbook For Reaching New Markets". Fast Company. Retrieved 2016-05-20. ^ a b "Sneak Peek: 365 by Whole Foods preps for its grand opening in Lake Oswego (Photos)". Portland Business Journal. 2016-07-12. ^ a b Saelinger, Tracy (2016-07-18). "How do Whole Foods' new 365 grocery stores compare to Trader Joe's?". NBC Today Show. ^ Strom, Stephanie (2016-05-11). "Whole Foods' Scaled-Down 365 Store Has Robots, but No Tattoo Parlor". New York Times. ISSN 0362-4331. Retrieved 2016-05-20. ^ Li, Shan (2016-05-11). "Whole Foods' first 365 store in L.A. is designed with ease in mind". Los Angeles Times. Retrieved 2016-05-20. ^ Masunaga, Samantha (2016-05-25). "First 365 by Whole Foods opens in Silver Lake. See how the prices compare". Los Angeles Times. ^ Marum, Anna (2016-07-13). "Whole Foods' 365 in Lake Oswego: What you need to know before you shop". The Oregonian. ^ Tu, Janet I. (2016-06-22). "Whole Foods to open Bellevue's 365 store in September". Seattle Times. ^ Garnick, Coral (2016-09-14). "The new 365 by Whole Foods in Bellevue is open. Here's a peek inside". Puget Sound Business Journal. ^ Dinges, Gary (2017-04-20). "Party kicks off opening events for Cedar Park 365 by Whole Foods store". Austin American-Statesman. ^ Rosales, Nicole (2017-04-24). "KVUE gets sneak peek at 365 Whole Foods store in Cedar Park". KVUE. ^ Wick, Julia (2017-05-16). "L.A.'s Second 365 By Whole Foods Market Is Officially Opening This August In Santa Monica". LAist. Archived from the original on 2017-11-05. ^ "Whole Foods Market 365 Santa Monica Opens Aug. 9" (Press release). Whole Foods Market. 2017-08-07. ^ Abraham, Amani (2017-09-14). "Whole Foods 365 opens today in Akron". WKYC. ^ Plitt, Amy (2018-01-31). "365, opens in Fort Greene today: It joins an Apple store at the base of 300 Ashland". Curbed NY. ^ "Whole Foods Market 365 in Long Beach becomes 3rd location in SoCal". KABC-TV. 2018-04-25. ^ Emerson, Sandra (2018-05-27). "First Whole Foods in Inland Empire to open Wednesday in Upland". Inland Valley Daily Bulletin. ^ "Whole Foods 365 opened Wednesday". Claremont Courier. 2018-05-30. ^ Takahashi, Paul (2018-08-21). "Whole Foods 365 store a 'strong statement' for Independence Heights". Houston Chronicle. ^ Trotter, Greg (2016-02-11). "Whole Foods' 365 store coming to Evergreen Park". Chicago Tribune. ^ "New stores coming to the Bloomington mall". WISH-TV. 2016-03-29. ^ Trotter, Greg (2017-07-07). "Whole Foods' 365 store in Evergreen Park delayed, concept's future unclear". Chicago Tribune. ^ Skrovan, Sandy (2017-07-11). "Whole Foods halts 365 store openings". Food Dive. ^ Hall, Gina (2017-07-10). "Whole Foods delays cheaper 365 concept in suburban Chicago after Amazon deal". Chicago Business Journal. ^ Goulding, Susan Christian (2018-01-11). "Giving up on a retail center after Whole Foods pulls out, Los Alamitos opts to keep site an office complex". Orange County Register. ^ Orelli, Brian (2016-06-01). "First Impressions of the New 365 by Whole Foods Market Inc. Concept: A Fool provides a detailed walkthrough of the company's new smaller store format, which debuted in Los Angeles late last month". The Motley Fool. ^ French, Sally (2015-07-31). "Cheaper Whole Foods '365' stores will be in hipster havens". MarketWatch. ^ Bergman, Ben (2016-05-27). "Are 365 by Whole Foods' automated kiosks the future for grocery stores?". KPCC. ^ Detrick, Hallie (2019-01-15). "Whole Foods Shelves Its 365 Store Concept". Fortune. Retrieved 2019-01-16. Wikimedia Commons has media related to Whole Foods Market.